Where Do The Eagles Rank? Of course no one expects the Eagles to be sitting atop of the week one NFL power rankings. However Eagles fans do anticipate and believe that the team should being vying for a top spot and a chance to bring him the Lombardi Trophy by season’s end. Unfortunately for the city of Brotherly Love, it might be another season where their hopes and dreams come crumbling down. Before talking about the negative aspects of the 2010 Eagles squad, there are some positives going for the Eagles. The Eagles encompass one of the youngest rosters in all of football. On the current 53-man roster, the Eagles have 12 rookies and an average age of 26 years old. More importantly, rookies (DE) Brandon Graham and (FS) Nate Allen look poised to have breakout years for the defense. Moreover, Graham should allow (DE) Trent Cole to be even more productive. Even though the Eagles have an extremely young nucleus, they do have some veterans with plenty left in the tank. These players will be counted on to show the young guns the ropes and how to deal with the rigors of the daily grind. It is not just the youthful legs that could have the Eagles soaring, they also have weapons all over the field on offense. The trio at wide receiver in DeSean Jackson, Jeremy Maclin and Jason Avant is considered by many experts to be top five in the league. 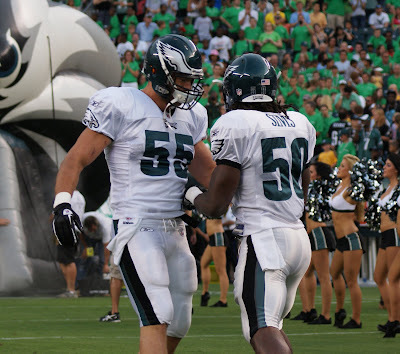 Additionally, they have help from the tight end position, where Brent Celek capped off a phenomenal 2009 season by finishing fourth in totally yards and touchdowns for a tight end and seventh in receptions. 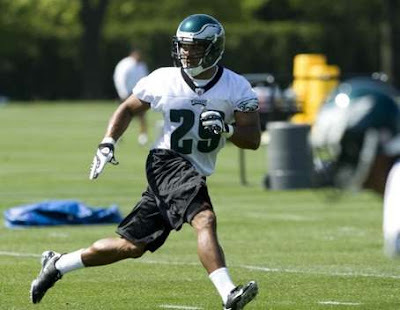 Besides the receiving threats, the birds have a young up-and-coming running back in LeSean McCoy. While (RB) Brian Westbrook will go down in Eagles lore as one of the best running backs to ever play for the club, he was a shell of his former self. Meanwhile, McCoy had a good rookie season has he rushed for 637 yards and four touchdowns. What makes McCoy so valuable is that he can mirror Westbrook’s game by being a superior receiver out of the backfield. Last year, he caught 40 balls for 308 yards. His sophomore season should only be better as he is the main guy from the get-go and he has a better grasp of the playbook. Plus it never hurts to have a Pro Bowl fullback leading the way for him. With that said, it might not be the offense that carries the Eagles, but the defense. The defense has a chance to return to the 2008 form, where they finished as a top five defense. The return of middle linebacker Stewart Bradley could be the best acquisition in all of the NFC. His leadership on the field and skills cannot be overlooked. Before blowing out his knee and missing the entire 2009 season, he was on his way to becoming an All Pro middle linebacker. Now, he has the luxury of playing alongside linebackers Ernie Sims and Akeem Jordan. The linebacking corps along with the strong defensive line rotation should have defensive coordinator Sean McDermott smiling much more often this season. Nevertheless, there are still huge question marks for the Eagles. A huge one that has developed over the preseason is the offensive line. Originally the Eagles thought that Stacy Andrews could handle the job at right guard. Ultimately, he failed to live up to expectations and was dealt to Seattle. Certainly the trade with the Cardinals to get guard Reggie Wells helps, but it is going to take him some time for him to grasp the offense. In the mean time Nick Cole will start at right guard. Cole is an adequate player, but not the type of starter a team needs if they expect to dominate and win the battle at the line of scrimmage week-in and week-out. Also, guard Todd Herremans has been dealing with a sore left foot all offseason. He did make his return in the third preseason game, but then sprained his right ankle the next day at practice. His effectiveness for the beginning of the season is gigantic question mark for the Eagles. It is also unknown if his ankle will bother him the rest of the year. The Herremans’ situation is not the only issue for the offensive line, so is center Jamaal Jackson, who will play in week one against the Green Bay Packers. However, will he ever be the same and if so, when? He is just eight months removed from a torn ACL. It is going to take him time for him to return to form. The offensive line is not the only concern for the Eagles, quarterback Kevin Kolb has looked like a deer in the headlights during the preseason. In the games where he squared off against 3-4 defenses, Kolb constantly had happy feet, made poor decisions with the football and threw off his backfoot. Those are things a veteran quarterback in the NFL learns not to do. In time, Kolb should develop and understand that, but as a first year starter he will have many up and down performances even with the immense amount of talent on offense. So where do the Eagles rank? Check out the power rankings to find out. One of the toughest things in sports is to repeat as a champion. The Saints have all the weapons in place as they only lost two starters from their championship squad from a year ago. 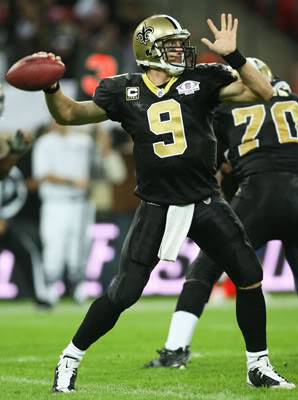 More importantly, Drew Brees is still in the prime of his career. Most teams coming off a Super Bowl loss would have a hangover. Most teams also do not have a quarterback of the ilk of Peyton Manning. Manning does not like having that bitter taste in his mouth. This might be shocking to a lot of fans. 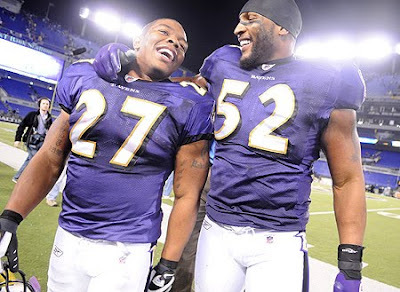 However, (QB) Joe Flacco has a plethora of weapons in (RB)Ray Rice, (WR) Anquan Boldin and (WR) T.J. Houshmandzadeh. Plus he has one of the best offensive lines in the league. The Ravens season all depends on Flacco taking the necessary steps in his development. Yet, still haven’t even mentioned their stellar defense. Last time we saw the Green Bay Packers, they lost a NFC Wildcard game even though they scored 48 points. The defense should be much better in their second year under Dom Capers. Additionally, Aaron Rodgers is turning into a top five quarterback that might be top three by season’s end. There are a lot of question marks with the Vikings right now. Will the offensive line protect Brett Favre? Can the Vikings survive without Sidney Rice and a depleted wide receiving corps? Will the team revolt against head coach Brad Childress? The defense makes them a top 12 team, but if Favre is good (not great) and they run with Adrian Peterson then they are a top 5 team. 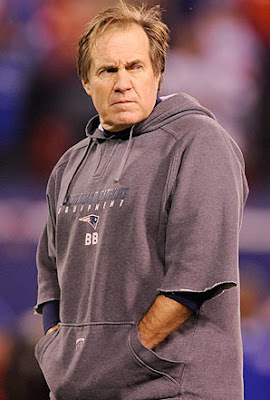 Can you really go against head coach Bill Belichick? Sure you could do that, but having what he considers to be a poor 2009 season will have him extra motivated. Last year, the defense was young and in transition, but now they have experience. Plus Tom Brady is two years removed from his ACL injury. Normally that’s when players return to 100 percent. Maybe the Cowboys should be higher on this list, but that offensive line looked putrid during the preseason. If the Cowboys expect rookie wide receiver Dez Bryant to make the offense explosive then they need to block for (QB) Tony Romo. The NFC East has pass rushers all over the place and it could be a bad combination for a team with question marks on the offensive line and Super Bowl aspirations. It is rare to have a defense that leads the league in every major category, but the Jets defense did that last year. They should be even better this season with the return of Kris Jenkins and the additions of Antonio Cromartie and Kyle Wilson. Moreover, if they run the rock with Shonn Greene and play good defense then Mark Sanchez will be that much better. The Chargers have the luxury of knowing that they are going to be in the playoffs since the AFC West is bad. 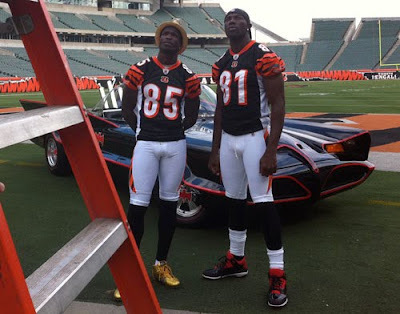 However, (WR) Vincent Jackson sitting out will hurt, but (WR) Legedu Naanee has the talent to be a nice NFL wide receiver. The bigger loss will be left tackle Marcus McNeil, which they have no replacement for on the roster. A lot of experts are setting the bar high on the Falcons. Their expectations rest on the fact that QB Matt Ryan should elevate his game in his third NFL season. If the preseason is an indication then this ranking is too high. The Dolphins are in a similar position as the Eagles. Good defense, a solid nucleus of young players, but are counting on a young and inexperienced quarterback in Chad Henne to lead the way. 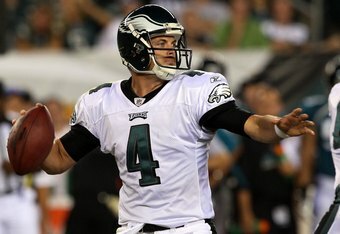 That said, Henne played well down the stretch, which could be good mojo heading into the 2010 season. Why are the Giants ahead of the Eagles? Well they fixed their major problem from last year, which was safety. While safety Antrel Rolle is overpaid, he does fix a gaping hole for them. They seemed to make the least amount of noise this offseason in the NFC East, which can be a good thing. Looking at the Eagles schedule, it appears to be a daunting task for a first-year starting quarterback. Many call this a retooling year, but the Eagles always seem to play well down the stretch. If they can keep afloat until they get to December, where they usually get hot, they might sneak into the playoffs. 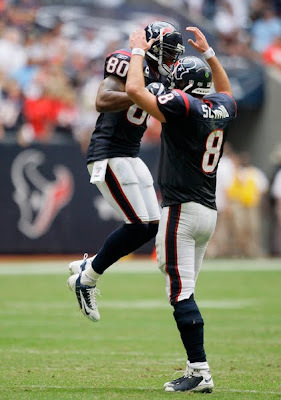 Matt Schaub might have a bigger season this year than last year. He had a dang good 2009 season. More importantly, his defense should be much improved. The Texans just feel like the 2008-09 Cardinals that made a run to the Super Bowl. The Steelers entire season depends on whether backup QB Dennis Dixon and if he can lead the Steelers to a 2-2 record in their first four games. If he can manage to do that then the Steelers have a chance to compete for the AFC North crown. This team has the talent to be much higher, but Big Ben can be blamed for the low ranking. The Titans are going to surprise a lot of people this year. (RB) Chris Johnson will have a big season, but Vince Young’s development will be the key. He finally understands he cannot just run the ball every time and win. 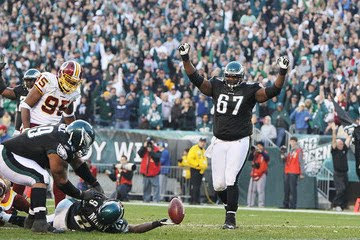 In the preseason, he has looked to throw more and the momentum he built at the end of the 2009 season might carry over. It is amazing that a division winner can be ranked so low. The Niners have an impressive defense, explosive weapons and a solid offensive line for Alex Smith. The problem is can Smith step up to the plate? A huge question for a team expected to win the division. No other team in the league possesses the running attack that the Panthers have every Sunday. Jonathan Stewart and DeAngelo Williams should be able to carry the offense with the help of wide receiver Steve Smith. If QB Matt Moore can play average, then this team has a shot to be a sleeper. 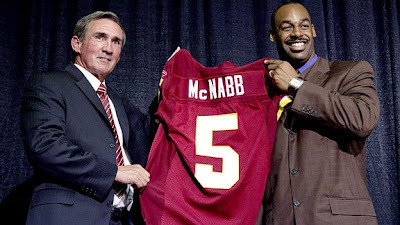 Old friend turned foe in QB Donovan McNabb should have his hands full this year. His interior offensive line is shaky. His tackles are a rookie in Trent Williams and Jammal Brown who is returning from a serious injury. Forgot to mention that Santana Moss is his no. 1 receiver. No other team in the league would be happy coming in at 21, but for the Raiders they are elated. Since their Super Bowl appearance against Tampa Bay, the Raiders have been one of the poorest run franchises in all of sports. 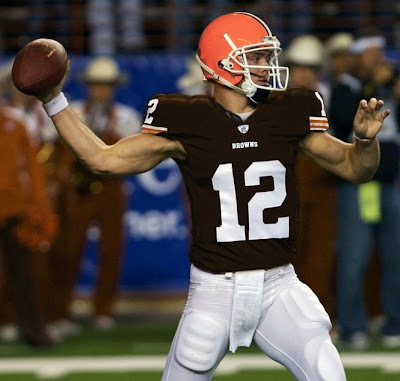 The acquisition of Jason Campbell immensely improves the offense. If Darren McFadden finally arrives, the Raiders could challenge the Chargers… in 2011. The trade for QB Jay Cutler looks like it may have backfired for the Bears. New offensive coordinator Mike Martz should help the Bears offense score granted Cutler protects the ball. Additionally a healthy (RB) Matt Forte should equate to less interceptions by Cutler. Still, head coach Lovie Smith is on the hot seat and his signing of Julius Peppers might blowup in his face. Kurt Warner is dancing with the stars and the Cardinals are dancing with Derek Anderson at quarterback. Maybe Warner will unretired like Brett Favre did? Wouldn’t count on it though. Does anyone really understand what head coach Josh McDaniels is doing with the Broncos? He has traded away a franchise (at the time) QB in Jay Cutler and a premiere wide receiver in Brandon Marshall. Then he traded one of the first round picks he got in the Cutler deal to move into the second round and to grab (CB) Alphonso Smith. Smith has recently been traded to the Lions after one season for a backup tight end. Don’t worry Padre Tim Tebow should get them on Sportscenter. These are not your father’s Detroit Lions. In fact, they might not even finish in last place this year. They actually have better weapons on offense then the Bears. Additionally, second-overall pick Ndamukong Suh will bolster the entire defense. 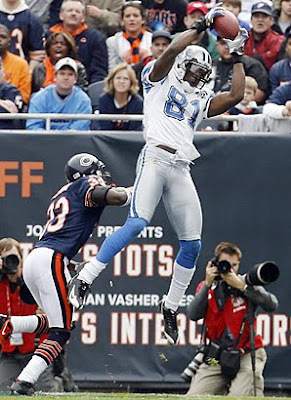 The Lions fans should be thrilled as they could have as many as seven wins. The Chiefs might be towards the bottom of the pack right now, but they are headed in the right direction. (RB) Jamal Charles is one of the most underrated players in the league and (WR) Dwayne Bowe should be better season this year. This year the Chiefs will struggle, but next year they could return to relevancy. Imagine if (RB) Maurice Jones-Drew played in a bigger market and better franchise. He would be one of the premiere players in the league. Sadly, only people who have him on their fantasy team will watch the Jaguars. The Buccaneers are another team that is another year or two away from being a very good team. The pieces are in place, but they need some NFL seasoning. 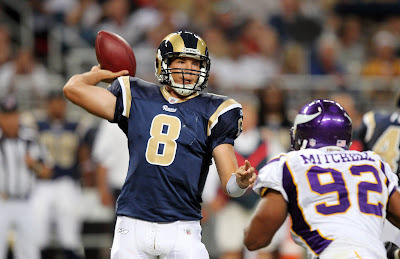 First-overall pick QB Sam Bradford looked better very impressive in the preseason. While it was just he preseason, he looked like an NFL ready quarterback. If he and Steven Jackson stay healthy, then they might not finish in last place. Hate to break it to Seahawks fans, but when running back Justin Forsett is your best weapon on offense then there is going to be trouble on the horizon. Moreover, (WR) Mike Williams who was out of football for the past two seasons is starting. Going to be a very long year for Pete Carroll, but it is probably karma for the whole USC predicament. While the Bills are not going to be very good in 2010, they have exciting players to watch. C.J. Spiller should be fun to watch on returns and running the ball. Still, the lack of a decent offensive line could end his season much earlier than expected.